Yahoo has had a little bit of a different history than Google, but its importance in the search engine market is not to be overlooked. Yahoo did start out being strictly a search engine, but quickly evolved into a web portal offering games, email, a question and answer section, and weather just to name a few. The portal concept started to out shadow the search engine concept, and now Yahoo hardly has time to worry about the search engine portion because of all the other projects it has going on. Yahoo used to essentially be conjoined with Google in the search engine field, but let that go to pursue the portal concept. Many say that when this happened, Yahoo not only lost credibility, but they lost a lot of consumers to Google. Since Google is solely a search engine and Yahoo has so many other services to offer, they had to let something go. Over a period of a few years, Yahoo was also caught up in several court and criminal scandals stemming from China. They gave information about a people's private information stored on Yahoo to government officials. This further made them frowned upon by clients of the website. Yahoo search engine optimization is not totally defined like that of Google. On Yahoo, you can actually pay to be included in their search results, which in my estimation is just asking for trouble. Often times, their search results return adware and spyware websites, and for this they have lost credibility with consumers. On the other hand, they have partnered with del.icio.us, a web bookmarking service. This creates weight and importance in the eyes of Google, though Yahoo as a whole does not focus on search engine optimization. 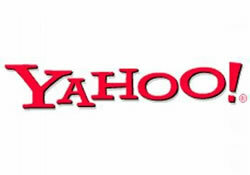 Yahoo SEO is based on relevant content, as well, but not nearly to the extent that Google is. As aforementioned, Yahoo has a method by which website owners can pay to be included in relevant searches, which sort of defeats the purpose of trying to get rich content on the page for consumers genuinely seeking information. Another tool in Yahoo search engine optimization is their form of Google's Ad Words, called Panama. This is a form of PPC (pay per click) advertising, in which website owners create very short ads with title and website link to display in relevant search results. These are based on the actual words being searched for, and paid only when a consumer actually clicks the link. To conclude, it is best to always maintain a strong balance with your optimization scheme. 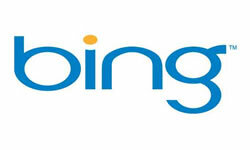 Yahoo only holds about 12% of the market share of search engine results, compared to Google's 47%. 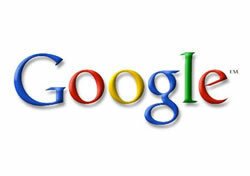 The SEO you do for Google will suffice for Yahoo search engine optimization. Keep in mind that if you are trying to reach far and wide, you can sign up for Panama, the PPC program that Yahoo uses to give website owners a chance to put relevant ads in Yahoo's search results page.